2,800 and 610 respectively. Only minor scuffles were reported. The Alliance was given only half of the space and the protesters spilled over into the streets. split the space, separated by metal fences. arranged for her to come to Hong Kong to attend a community "family reunion". was arranged by the Compatriot Association of Sanwei, a town in Guangdong. 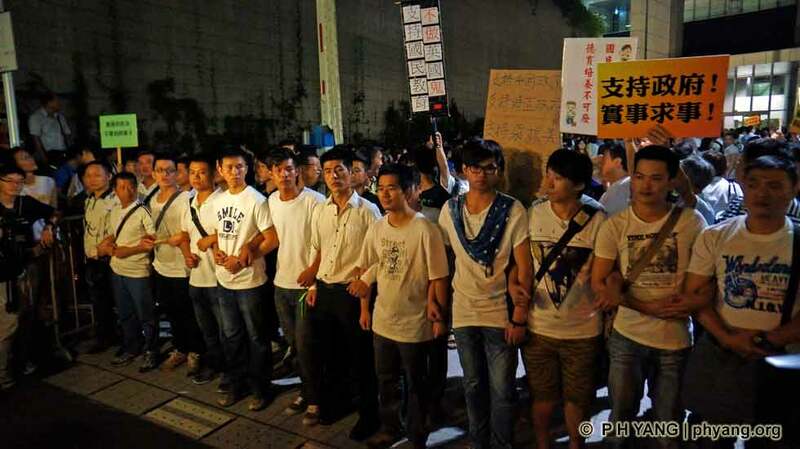 President Qiu Xuan Kong Federation of Youth Culture denied that the organization were bringing outside help. When asked about Ms Fong's case, he refused to respond. then marched into a formation to separate the two sides which also form human chains to prevent further escalation. 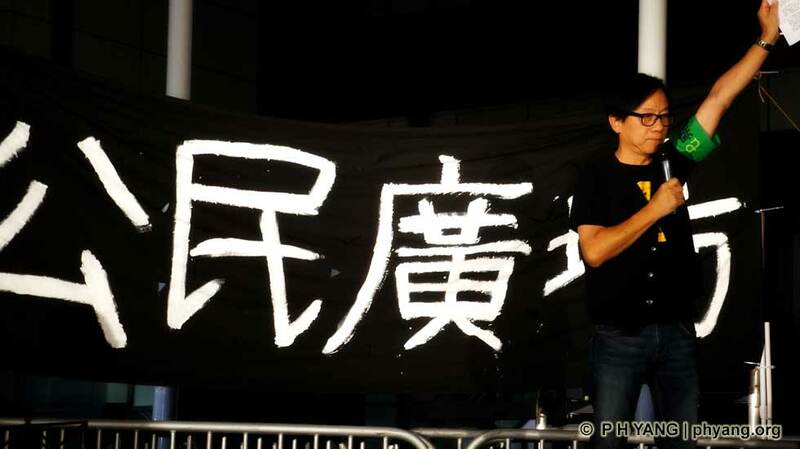 The supporters' party ended at around 9:30 pm while the protesters' rally ended peacefully a little after 10 pm. 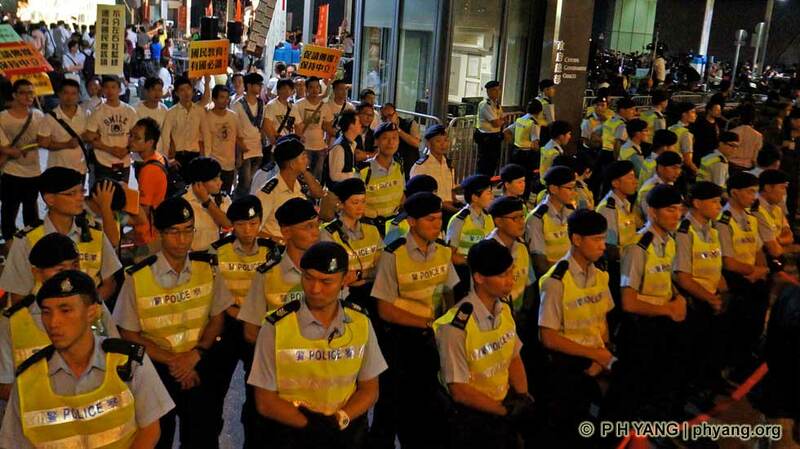 Police estimated 610 supporters and 2,800 protesters were there by 9 pm. 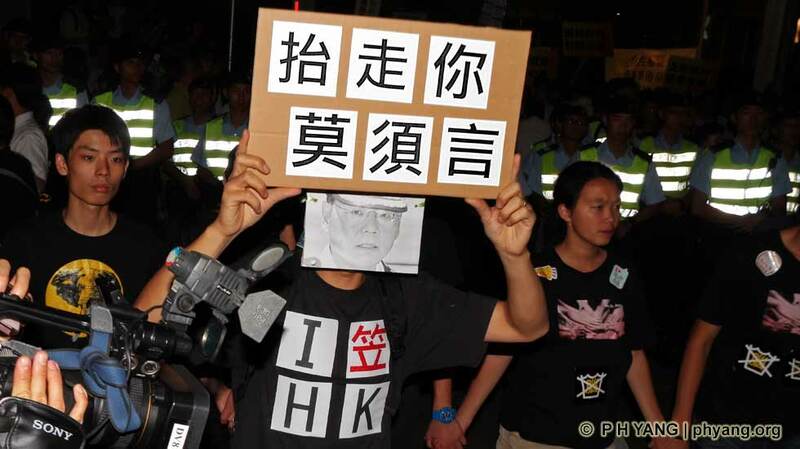 of the core values of Hong Kong!" to a standing ovation. 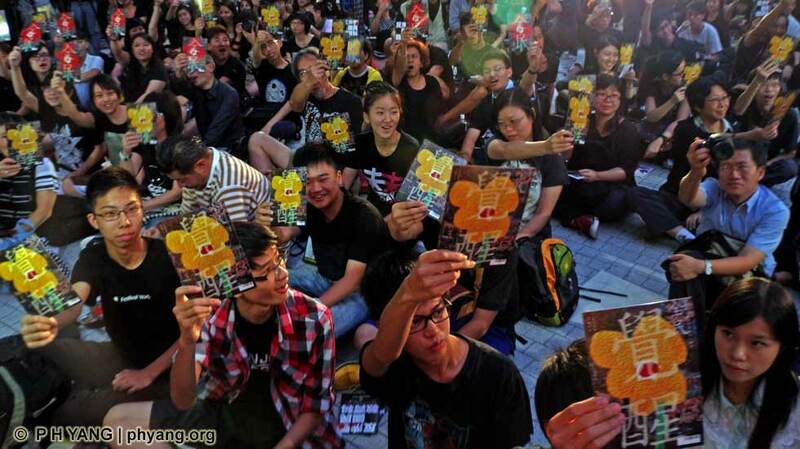 "The anti-brainwashing campaign had brought a new hope for Hong Kong," Yao concluded. 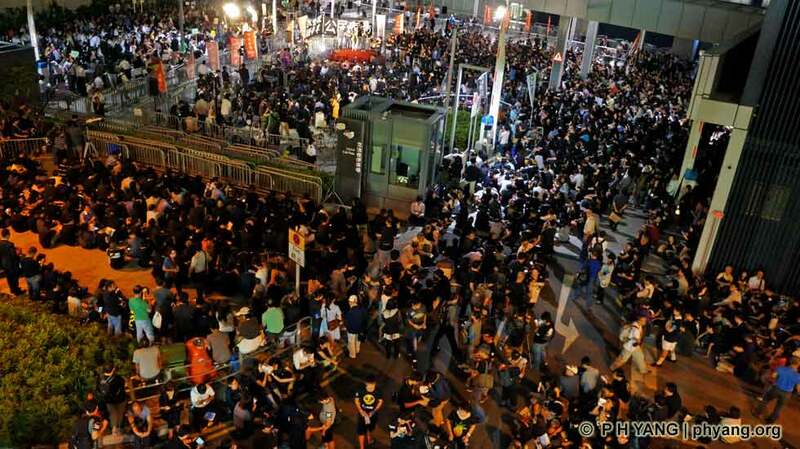 outside Hong Kong Government HQ against 2,000 supporters, dressed mostly in white (top left corner). hunger strike during a rally in August, shared their experiences with the rallying crowd. the rallying crowd. The black banner reads "Citizens' Plaza". 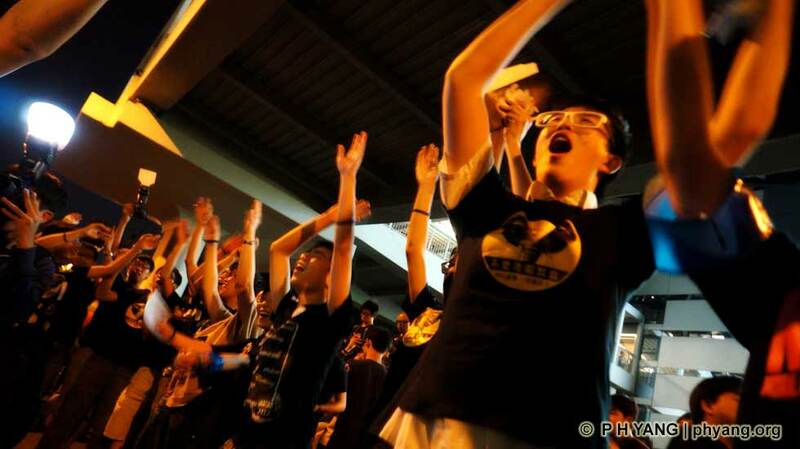 Headquarters to celebrate their success in stopping the national education curriculum which many deem pro-Beijing. 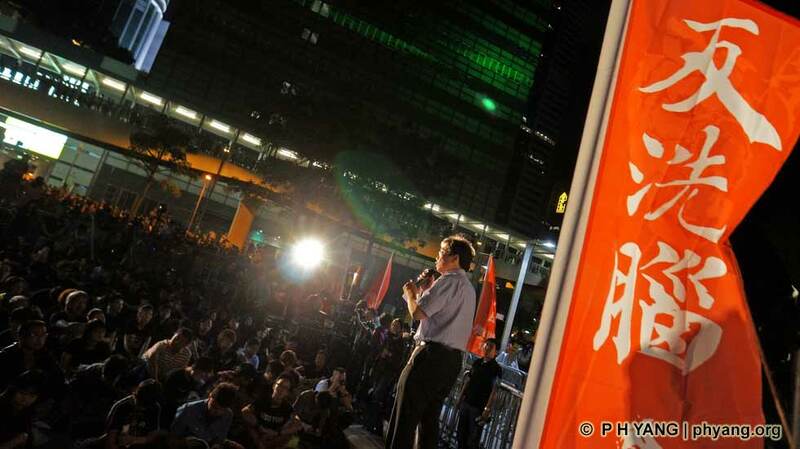 Professor Leung Yan-wing of Hong Kong School of Education addressed the crowd. 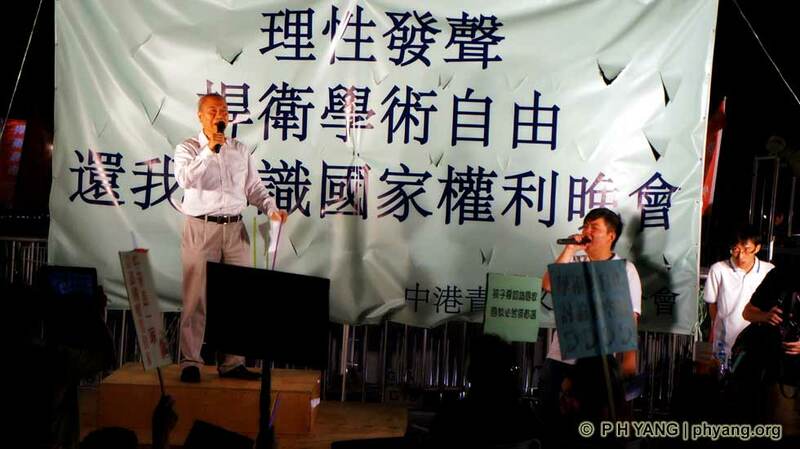 speaks in support of the pro-Beijing national education curriculum. 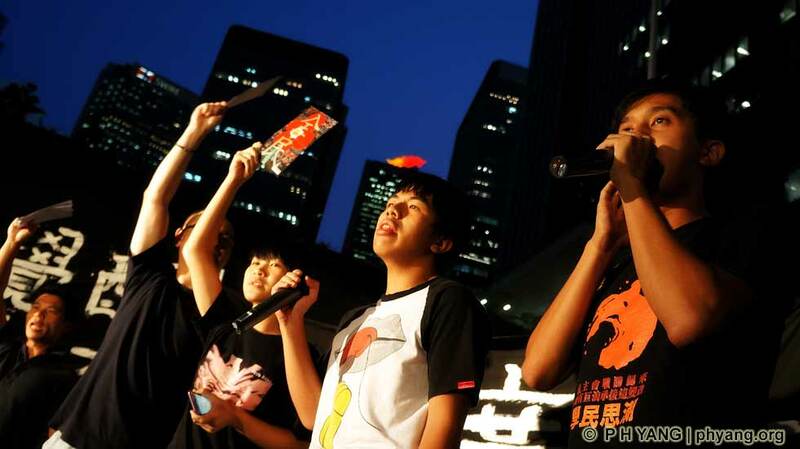 Pro-Beijing supporters of the national education curriculum blame the Government for backing down. for 'con' but pronounced like 'love' satirizing recent removal of students during flag-raising on National Day). Banner reads 'No explanation needed to remove you'.